In this Dutch name, the family name is Ten Boom, not Boom. Cornelia Arnolda Johanna "Corrie" ten Boom (15 April 1892 – 15 April 1983) was a Dutch watchmaker and later a writer who worked with her father Casper ten Boom, her sister Betsie ten Boom and other family members to help many Jews escape the Nazi Holocaust during World War II by hiding them in her home. They were caught and she was arrested and sent to Ravensbrück concentration camp. Her most famous book, The Hiding Place, is a biography that recounts the story of her family's efforts and how ten Boom found hope while imprisoned at the concentration camp. Corrie ten Boom was born on 15 April 1892 to a working class family in Amsterdam, Netherlands, near Haarlem. Named after her mother Cornelia but known as Corrie all her life, she was the youngest child of Casper ten Boom, a jeweler and watchmaker. Her father was fascinated by the craft of watchmaking and often became so engrossed in his work that he forgot to charge customers for the services. She trained to be a watchmaker herself and in 1922 became the first woman licensed as a watchmaker in The Netherlands. Over the next decade, in addition to working in her father's shop, she established a youth club for teenage girls, which provided religious instruction and classes in the performing arts, sewing, and handicrafts. She and her family were Christians (Calvinists in the Dutch Reformed Church), and their faith inspired them to serve their society, offering shelter, food, and money to those in need. In May 1940 the Nazis invaded the Netherlands. Among their restrictions was banning the youth club. [page needed] In May 1942 a well-dressed woman came to the ten Booms' with a suitcase in hand and told them that she was a Jew, her husband had been arrested several months before, her son had gone into hiding, and Occupation authorities had recently visited her, so she was afraid to go back. She had heard that the ten Booms had helped their Jewish neighbors, the Weils, and asked if they might help her too. Casper ten Boom readily agreed that she could stay with them, despite the police headquarters being only half a block away. A devoted reader of the Old Testament, he believed that the Jews were the "chosen people", and he told the woman, "In this household, God's people are always welcome." The family then became very active in the Dutch underground hiding refugees; they honored the Jewish Sabbath. The family never sought to convert any of the Jews who stayed with them. Thus the ten Booms began "The Hiding Place", or "De Schuilplaats", as it was known in Dutch (also known as "de Béjé", pronounced in Dutch as 'bayay', an abbreviation of their street address, the Barteljorisstraat). Corrie ten Boom and her sister Betsie opened their home to refugees — both Jews and others who were members of the resistance movement — being sought by the Gestapo and its Dutch counterpart. They had plenty of room, although wartime shortages meant that food was scarce. Every non-Jewish Dutch person had received a ration card, the requirement for obtaining weekly food coupons. Through her charitable work, ten Boom knew many people in Haarlem and remembered a couple who had a disabled daughter. The father was a civil servant who by then was in charge of the local ration-card office. She went to his house one evening, and when he asked how many ration cards she needed, "I opened my mouth to say, 'Five,'" ten Boom wrote in The Hiding Place. "But the number that unexpectedly and astonishingly came out instead was: 'One hundred.'" He gave them to her and she provided cards to every Jew she met. The refugee work done at the Beje by ten Boom and her sister became known by the Dutch Resistance. The Resistance sent an architect to the ten Boom home to build a secret room adjacent to ten Boom's room for the Jews in hiding, as well as an alert buzzer to warn the refugees to get into the room as quickly as possible. On February 28, 1944, a Dutch informant named Jan Vogel told the Nazis about the ten Booms' work; at around 12:30 P.M. the Nazis arrested the entire ten Boom family. They were sent to Scheveningen prison when Resistance materials and extra ration cards were found at the home. Nollie and Willem were released immediately along with Corrie's nephew Peter; Casper died 10 days later. The six people hidden by the ten Booms, among them both Jews and resistance workers, remained undiscovered: Corrie ten Boom received a letter one day in prison reading "All the watches in your cabinet are safe," meaning the refugees had managed to escape and were safe. Four days after the raid, resistance workers transferred them to other locations. Altogether, the Gestapo arrested some 30 people in the ten Boom family home that day. Ten Boom was initially held in solitary confinement. After three months, she was taken to her first hearing. On trial, ten Boom spoke about her work with the mentally disabled; the Nazi lieutenant scoffed, as the Nazis had been killing mentally disabled individuals for years based on their eugenics ideologies. Ten Boom defended her work, saying that in the eyes of God, a mentally disabled person might be more valuable "than a watchmaker. Or a lieutenant." Corrie and Betsie were sent from Scheveningen to Herzogenbusch, a political concentration camp (also known as Kamp Vught), and finally to the Ravensbrück concentration camp, a women's labor camp in Germany. There they held worship services, after the hard days at work, using a Bible that they had managed to sneak in. While at Ravensbruck, Betsie ten Boom began to discuss plans with her sister after the war for a place of healing. Betsie's health continued to deteriorate and she died on December 16, 1944 at the age of 59. Before she died, she told Corrie, "There is no pit so deep that He [God] is not deeper still." Fifteen days later, Corrie was released. Afterwards, she was told that her release was due to a clerical error and that a week later, all the women in her age group were sent to the gas chambers. Corrie ten Boom returned home in the midst of the "hunger winter." She opened her doors still to the mentally disabled who were in hiding for fear of execution. After the war, ten Boom returned to The Netherlands to set up a rehabilitation center in Bloemendaal. The refugee houses housed of concentration-camp survivors and sheltered the jobless Dutch who previously collaborated with Germans during the Occupation exclusively until 1950, when it accepted anyone in need of care. She returned to Germany in 1946, and met with and forgave two Germans who had been employed at Ravensbrück, one of whom was particularly cruel to Betsie. Ten Boom went on to travel the world as a public speaker, appearing in more than 60 countries. She wrote many books during this time. Corrie Ten Boom told the story of her family members and their World War II work in her best-selling book, The Hiding Place (1971), which was made into a 1975 World Wide Pictures film, The Hiding Place, starring Jeannette Clift as Corrie and Julie Harris as Betsie. In 1977, 85-year-old Corrie emigrated to Placentia, California. In 1978, she suffered two strokes, the first rendering her unable to speak, and the second resulting in paralysis. She died on her 91st birthday, 15 April 1983, after a third stroke. A sequel film, Return to the Hiding Place (War of Resistance), was released in 2011 in the United Kingdom, with its United States release in 2013, based on Hans Poley's book, which painted a wider picture of the circle of which she was a part. Israel honored ten Boom by naming her Righteous Among the Nations. Ten Boom was knighted by the Queen of the Netherlands in recognition of her work during the war. The Ten Boom Museum in Haarlem is dedicated to her and her family for their work. The King's College in New York City named a new women's house in her honor. Backhouse, Halcyon C. (1992), Corrie ten Boom: Faith Triumphs, Heroes of The Faith, Alton: Hunt & Thorpe, ISBN 1-85608-007-2. Baez, Kjersti Hoff; Bohl, Al (2008) , Corrie ten Boom, Chronicles of Faith, Ulrichsville, Ohio: Barbour Pub, ISBN 1-59789-967-4. Benge, Janet; Benge, Geoffrey ‘Geoff’ (1999), Corrie ten Boom: Keeper of the Angels' Den, Seattle, WA: YWAM Pub, ISBN 1-57658-136-5. Briscoe, Jill (1991), Paint the Prisons Bright: Corrie ten Boom, Dallas: Word Pub, ISBN 0-8499-3308-0. Brown, Joan Winmill (1979), Corrie, the Lives She's Touched, Old Tappan, N.J: F.H. Revell Co, ISBN 0-8007-1049-5. Carlson, Carole C. (1983), Corrie ten Boom, Her Life, Her Faith: A Biography, Old Tappan, N.J: F.H. Revell Co, ISBN 0-8007-1293-5. Couchman, Judith (1997), Corrie ten Boom: Anywhere He Leads Me. Mainse, David (1976), The Corrie ten Boom Story: Turning Point. McKenzie, Catherine (2006), Corrie ten Boom: Are All The Watches Safe. Meloche, Renée; Pollard, Bryan (2002), Corrie ten Boom: Shining In The Darkness. Metaxas, Eric (2015), Seven Women And The Secret To Their Greatness, Nashville, TN: Nelson Books. 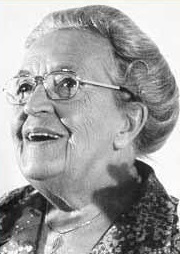 Moore, Pamela Rosewell (1986), The Five Silent Years of Corrie ten Boom. Moore, Pamela Rosewell (2004), Life Lessons From The Hiding Place: Discovering The Heart of Corrie ten Boom. Poley, Hans (1993), Return to The Hiding Place. Ray, Chaplain (1985), Corrie ten Boom Speaks To Prisoners. Shaw, Sue (1996), Corrie ten Boom: Faith In Dark Places. Smith, Emily S, A Visit To The Hiding Place: The Life Changing Experiences of Corrie ten Boom. Stamps, Ellen de Kroon (1978), My Years with Corrie, Old Tappan, N.J: F.H. Revell Co.
Wallington, David (1981), The Secret Room: The Story of Corrie ten Boom, Exeter: Religious Education Press. Watson, Jean (1994), Corrie ten Boom: The Watchmaker's Daughter. Wellman, Samuel ‘Sam’ (1984), Corrie ten Boom: The Heroine of Haarlem. Wellman, Samuel ‘Sam’ (2004), Corrie ten Boom: Heroes of The Faith. White, Kathleen (1991), Corrie ten Boom. ^ a b c Corrie ten Boom Biography, A&E Television Networks, LLC. ^ Atwood, Kathryn J. Women Heroes of World War II. Chicago: Chicago Review Press. p. 117. ISBN 9781556529610. ^ a b Atwood, Kathryn J. Women Heroes of World War II. Chicago: Chicago Review Press. p. 118. ISBN 9781556529610. ^ "H2G2", DNA, The British Broadcasting Company . ^ a b Atwood, Kathryn J. Women Heroes of World War II. Chicago: Chicago Review Press. p. 119. ISBN 9781556529610. ^ a b Atwood, Kathryn J. Women Heroes of World War II. Chicago: Chicago Review Press. p. 120. ISBN 9781556529610. ^ a b c Atwood, Kathryn J. Women Heroes of World War II. Chicago: Chicago Review Press. p. 121. ISBN 9781556529610. ^ Atwood, Kathryn J. Women Heroes of World War II. Chicago: Chicago Review Press. pp. 121–122. ISBN 9781556529610. ^ a b Atwood, Kathryn J. Women Heroes of World War II. Chicago: Chicago Review Press. p. 122. ISBN 9781556529610. Corrie ten Boom Papers, Billy Graham Center Archives, Wheaton College. Holocaust Rescuers Bibliography, Heart has reasons . Corrie ten Boom at Find a Grave. Corrie ten Boom, US: Holocaust Memorial Museum . "Corrie ten Boom – a Dutch Savior", Saviors, Raoul Wallenberg . The Hiding Place (DVD), Evangelical Bible : a remastered DVD including many of her testimonies. Corrie ten Boom Live . "Corrie ten Boom, Interfaith Hero", 2nd annual interfaith heroes month (24), Read The Spirit, Jan 2009, archived from the original on 2009-06-25 . Hartley, Al, The Hiding Place (PDF), Carps place, Archived from the original on 2011-07-08 CS1 maint: BOT: original-url status unknown (link) . Burdick, Elizabeth, No Pit So Deep: the life and witness of Corrie ten Boom (play), Passion Players, archived from the original on 2013-09-21 . This page is based on the Wikipedia article Corrie ten Boom; it is used under the Creative Commons Attribution-ShareAlike 3.0 Unported License (CC-BY-SA). You may redistribute it, verbatim or modified, providing that you comply with the terms of the CC-BY-SA.